Our latest CD releases, BATTLERAGE "Dreams in Darkness", ATTACKER "Armor of the Gods" and ALBERT BELL'S SACRO SANCTUS "Liber III: Codex Templarum", were out 3 weeks ago. The CDs can be ordered from our SHOP page (and many mailorders and brick & mortar shops, as well as from the bands themselves), and those who don't collect CDs can buy the releases digitally from our Bandcamp page, CD Baby, Amazon MP3, iTunes, Google Play, eMusic and other relevant digital music retailers. Chilean heavy metal warriors BATTLERAGE are finally back with their 4th album "Dreams in Darkness", which is their most varied and original one to date. As uncompromising as before, but with new facets to their songwriting, unmistakable gruff vocals and impressive guitar work, and tons of passion and rough energy, they stand with one foot firmly planted in US metal and one in '80 German metal. It's available in 2 convenient bundles: 2 CDs bundle, where you can choose to add one of the band's previous releases ("True Metal Victory", "Blood, Fire, Steel" or "The Slaughter Returns"), or 4 CDs bundle, which is the complete collection, and you are practically getting 1 CD for free, saving 12 Euro. The EP of the US metal veterans ATTACKER "Armor of the Gods" clocks in at 35 minutes and features 4 new studio and 2 live tracks. The live ones from Up the Hammers festival show perfectly that they are a force to be reckoned with live as well. The studio tracks are their typical US power/heavy metal sonic attacks with masterful guitar work, pounding drums, pummeling bass and air raid siren style vocals. 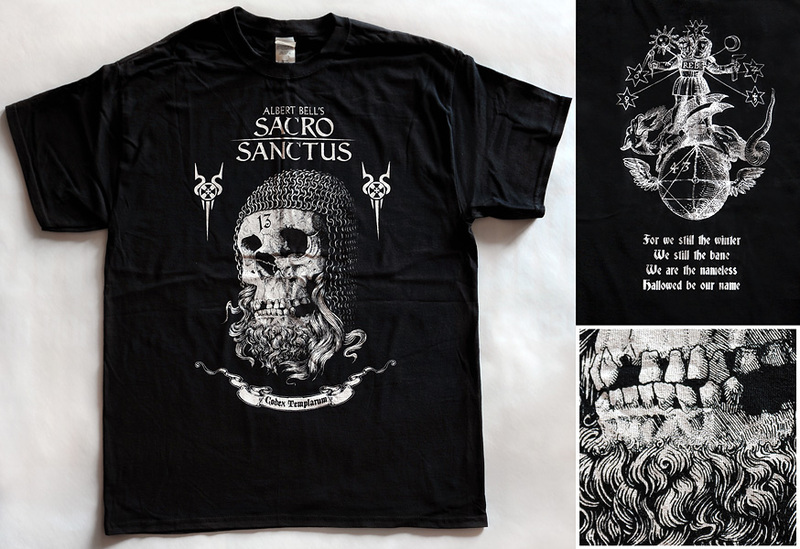 You can order it also in a bundle with the sterling silver logo pendant or with one of their two previous releases, "Sins of the World" or "Giants of Canaan". Maltese metal maestro Albert Bell sounds the clarion of battle once more with his 3rd declaration of war in the SACRO SANCTUS Templar trilogy "Liber III: Codex Templarum". Fact and fiction are combined again as Albert unleashes riff upon riff of feral old school blackened heavy metal. The genre's ingredients are meshed in a chalice of metalized blood that should satiate the thirst of all elite metal aficionados. You can get this CD in a bundle with one or two of Albert's previous releases ("Ad Aeternum" and/or "Deus Volt"), as well as with the T-shirt with new design. 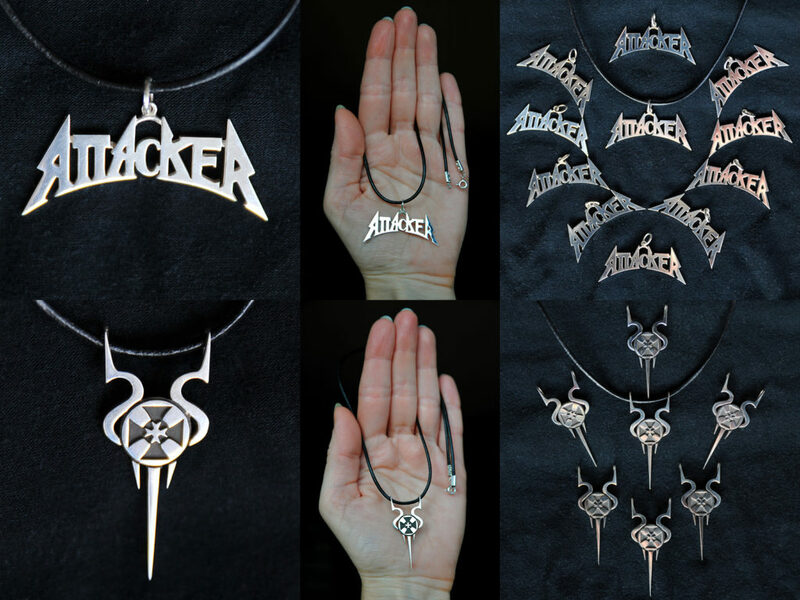 The SACRO SANCTUS symbol pendants are unfortunately not available anymore - we had a smaller number of them, and they were sold out within the first few days of the pre-order. Like before, if you want to have all these new CDs, you can save 5 Euro by purchasing the 3 New Releases bundle.